Your business does amazing things. More people should know. COPYWRITING & MARKETING STRATEGIES FOR BUSINESSES THAT WANT TO SCALE AND GROW. Struggling with your sales and marketing copywriting? Need a more effective website, email, or social media presence? People don’t hire a copywriter. They hire people who make them money. We tell your business’s story to make you money. That’s what we do. 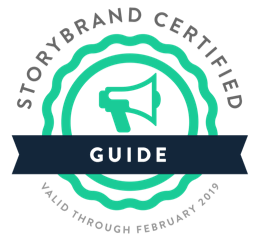 We’ve written copy and created content marketing solutions for hundreds of businesses in diverse industries, such as logistics, energy, non-profit, construction, manufacturing, food, agriculture, healthcare and real estate. Artessa Marketing works with B2B businesses to deliver effective, results-driven copy that attracts prospects, converts sales and grows your business. Our experience lets us quickly understand your business to deliver strategic copy and content marketing that speaks to your ideal prospects and customers. Copywriting that saves me time and makes money? You’re not talking to everybody. You’re talking to ‘somebody’ with specific goals and needs. Get the right message to the right audience using the right channels. How will you find your next customer? Transform your copy and content into a sales tool that highlights your products or services and educates customers 24/7. You have a story to tell. We help you tell it. Attract an audience. Build trust and authority. Nurture existing relationships. Convert leads and help close sales. Think of us as an extension of your company. Build a brand. Drive leads and growth. Add value. Connect with your ideal buyer. It’s hard to find the time and people to write compelling copy and content in the right tone and voice for your brand. Make every word count. 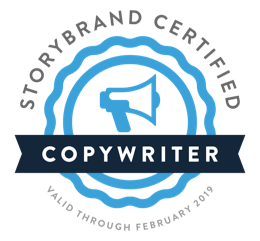 Our B2B and B2B2C copywriting educates, engages, inspires and solves problems to convince your target audience to take very specific actions. With over 1 billion websites and countless other digital communications, how do you stand apart from the competition to reach your business goals? Our B2B content marketing solutions improve brand awareness, build trust, create conversations and drive business forward. Feeling overwhelmed? Start with a solid foundation. Let’s look at all the things you could do and narrow it down to what’s good for your business. We’ll help you stay focused on building a complete marketing system that supports sales and drives growth. Is your business position clearly defined? Your brand should be more than a logo or website. We help you craft a clear message that lets your best customers and prospects know who you are, what you do and what makes you different. Sure you have a website, but how hard is it working to engage, retain and convert the right kinds of customers? Our user-centered website copy and design/development solutions create a complete system that helps you achieve your sales and marketing objectives, positions you as an industry leader and drives revenue. A plan isn’t worth paying for if there isn’t a clear solution for executing that plan. When you’re short on time and resources, maybe it’s time for a little extra help? We’ll work with you and your team to educate, manage, monitor and measure your next marketing project so you can stay on-time and on-budget. WHO DO WE HELP THE MOST? When you’re busy meeting the needs of other businesses, investing in your own marketing can be difficult. Our B2B copywriting and content engages and converts prospects effectively to maximize your bottom line. Aligning marketing and sales is a top priority. We help you bring together your internal team communications, create content for specific sales situations and drive deeper, more immersive customer experiences. For business owners like you, every dollar counts. We help your business think bigger. From branding to digital/print collateral, to blogs and social media, our custom copy solutions drive growth. Without Myrna, I’m sure this would never have happened. From helping us define our target audience, to managing the RFP process to directing the agency and even writing the content that refelcted our brand – she handled it all. More importantly, we’re getting the right visitors that have turned into leads and customers. After working with many agencies, consultants and freelancers, I can easily say Myrna is one of the golden ones. She fully devoted herself to our work and took the time to understand the business, our needs and challenges. Just show us your website copy, email, landing page, or anything else that’s giving you trouble. We’ll give you a quick assessment and a few pointers. Schedule your no obligation call today! Struggling with copy or content? Need fresh ideas for your sales or marketing?